I guess if you have the power, you can make the rules of the game. 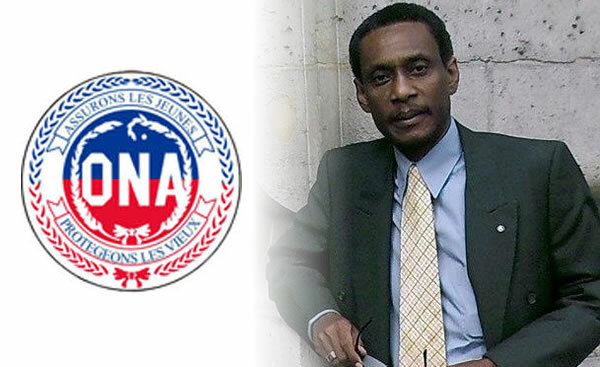 According to actual document, the actual Director of the National Old Age Insurance Office (ONA), Renald Benjamin is crying fault as he has discovered that the minister of Finance under the government of Michel Martelly, Wilson Laleau, went deep on the fund of the ONA. The government had borrowed a total of One Billion and two hundred million of gourdes from ONA at zero interest.  There transactions took place between September 2015 and January 2016 when Emmanuel Menard was in charge of ONA. So far efforts by the current administration of ONA to recover the money have been unsuccessful. The actual Minister of Finance, Yves Romain Bastien, is asking for the current Director of ONA to give him copy of these loan contracts. Three days following the end of the government of Michel Martelly, The PNH continues to provide security protection not only to President Michel Martelly, not only to his family but also to someone who did not have an official function at the national palace. As of February 9, 2016 or three days after the end of the government of Michel Martelly, Roro nelson was still enjoying the benefits and privileges for being a close friend of Michel Martelly. As Roro Nelson was enjoying himself on Mardi Gras, the last day of the Carnival season, about 6 Police Officers from the PNH was on duty assuring his protection. 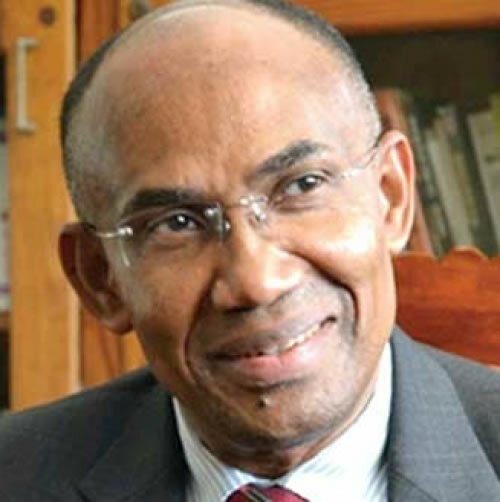 On February 6, 2016, at the National Palace, President Martelly has officially signed an agreement with President Jocelerme Privert and Vice-President Cholzer Chancy of the National Assembly to leave office as per his plan designating a Government of transition to solve a possible vacuum of power in Haiti. The Organisation of American States has helped to broker the deal among deeply divided politicians in the Caribbean nation. However, as per G8, this agreement attempts to validate the 2015 election disregarding the general consensus and protests of the common people. It seeks to postpone a crisis that must be solved rather. Furthermore, the presidents of the two chambers cannot be engaged to decide without a prior majority vote. The agreement has been made at a time when the former soldiers have been deployed by the administration to block the democratic impulses of the Haitian people. For anyone waiting for a confrontation with Presidnt Michel Martelly on February 7th, it will not happen. Yesterday, President Michel Martelly confirmed that he will not stay in power after February 7, 2016. This is a shift from his position just few weeks ago when he declared that he will only leave power to people who have been elected in an election. During a speech given on January 4th, on the inauguration of the new Interior Ministry building President Martelly stated that he doesn't want to stay in power even one day more. He affirmed that he will leave with no regret, no desire, no attachment. 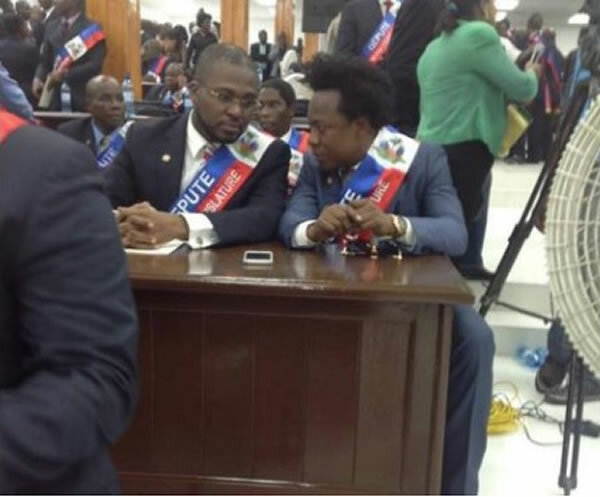 The members of the Haitian parliament have not been sleeping too well lately, specially after they head about the issues that were discussed in a supposedly secret meeting between President Michel Martelly and the opposition group G-8. Although this particular meeting is classified as "Secret Meeting" but.... we all know... it's Haiti..... This meeting supposedly took place on Tuesday, February 2nd. What actually gave members of the 50th legislative insomnia was a proposition by the G-8 to Martelly to do away with the newly elected legislators. The G-8 proposed the creation of a transitional government headed by the President for the Court of Cassation and also for the President to revoke his recent Government order to annul the recent legislative election. 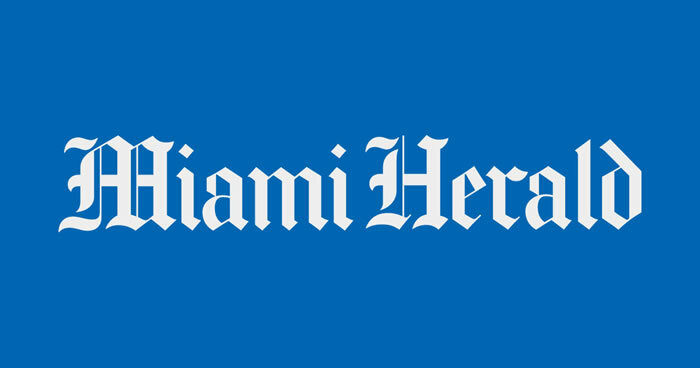 The Miami Herald came out very strong with an editorial written against any possibility for Michel Martelly to remain in power after February 7 or to be involved in any transitional government. According to the editorial, "despite an unrelieved record of failure, Mr. Martelly suggested last week that he could prolong his tenure if no consensus for moving forward emerges". "The way forward is uncertain", according to the article. "But one thing is clear: President Michel Martelly must step down when his term expires on Feb. 7"
"Haiti's people have already paid too dearly for Mr. Martelly's disrespect for constitutional order and inept management. He never understood the notion of compromise, nor did he ever try to forge a national political consensus to make the most of the aid provided by the international community to recover from a 2010 earthquake. 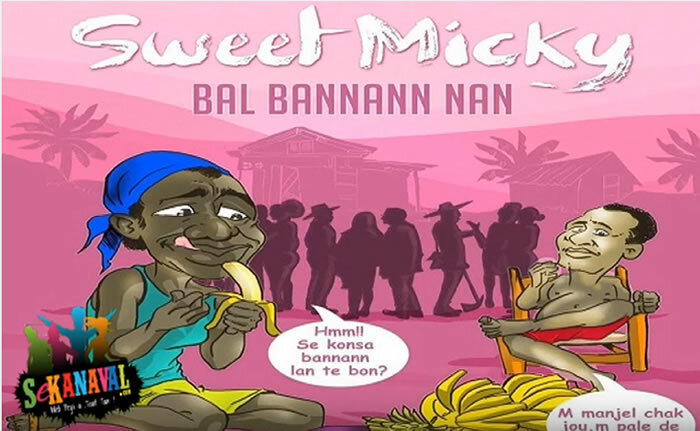 Whatever was good for "Sweet Micky" was good for Haiti, or so he seemed to believe. The coordinator of the political party OPL, Sauveur Pierre Etienne, classified President Michel Martelly as irresponsible leader following the announcement on January 1st by the President to hold the second round of the presidential election on January 17. Koòdonatè nan pati politik OPL, Sauveur Pierre Etienne, konsidere Prezidan Michel Martelly kòm lidè irèsponsab e enkonpetan pou anons 1ye janvye pa Prezidan an kote li te kenbe dezyem wonn eleksyon prezidansyèl pou u 17 janvye. How can that be possible? A president who has his own candidate in a race is the one running the show. President Michel Martelly has decided to create his own commission to look at alleged frauds for which his political party was accuse of. 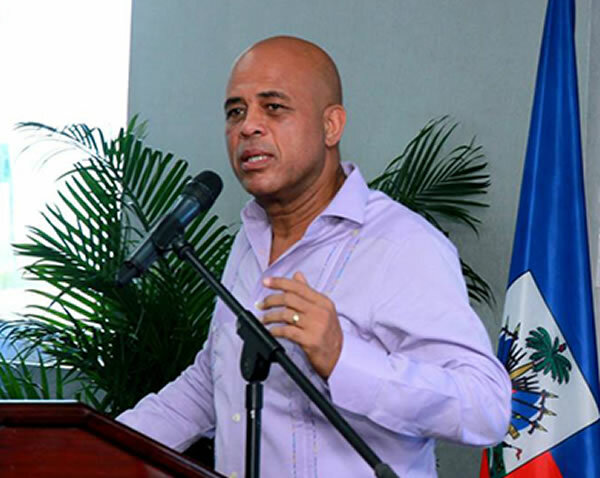 In addition, knowing already what the decision of his commission will be before they even had the chance to finish their work, President Michel Martelly has set a date for the run-off election which is January 17, 2016. In a speech on Haiti's independence day, he called on all Haitians to respect the rules of the game and to go to the polls on January 17. On Thursday, December 17, 2015, after repeated allegations against the CEP and BCEN, the outgoing President Martelly ordered the creation of a special commission by virtue of the power of section 136 of the Constitution and the Decree of 17 May 2005, to assess the condition of the country's remaining electoral process scheduled to be held on December 27, 2015. Since the second runoff of the presidential election has been deferred and rescheduled for January 17, 2016 and two of the five commission members and their platforms were unwilling to participate in the commission, the commission has been reorganized with few changes on December 22nd. As per New York Times news report, the October 25 election was marred by so much ballot tampering, illegal voting and other abuses that it could be denounced as 'illegitimate'. The second place winner Jude Celestin has said, the October election and its consequential results were "ridiculous farce". As per Prime Minister Evans Paul, the main objective of this Commission would be to create political stability in the country and ensure that the entire voting process is transparent and free from all biases.